Excellency is a fresh market variety with processing capabilities. It has yellow skin and light yellow flesh. Tubers are long oval, rather big and have very shallow eyes. Tuber numbers are moderate. Excellency has a moderate dry matter content with a floury texture. It has a good frying quality, as well as cooking and chipping qualities. 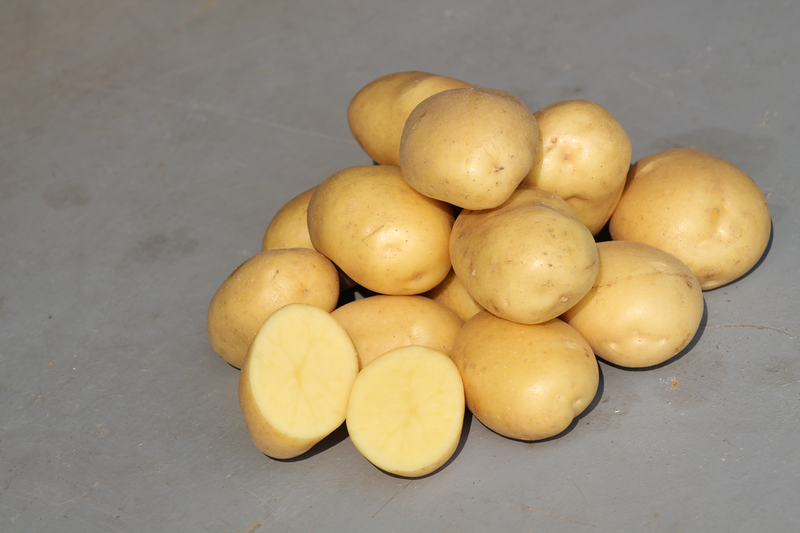 Excellency grows on most soils and is of interest to the processing market and packers as it has a clean skin finish. It is recommended to warm seed prior to planting. DO NOT use Sencor as Excellency is very sensitive to it. Standard Nitrogen application is recommended. Excellency has a moderate dormancy period and is suitable for a few months of storage at a temperature of approximately 7â°C. Excellency is moderately susceptible to blackleg. Resistance to virus Yn and virus Yntn is good.